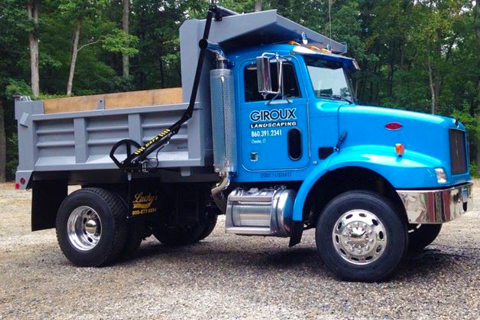 Whether you are looking for a new foundation to suite your home or garage, land cleared, walkways and retaining walls, Giroux Landscaping has the skills and the experience to meet your excavation needs. Our equipment is top-of-line and ready for the job. 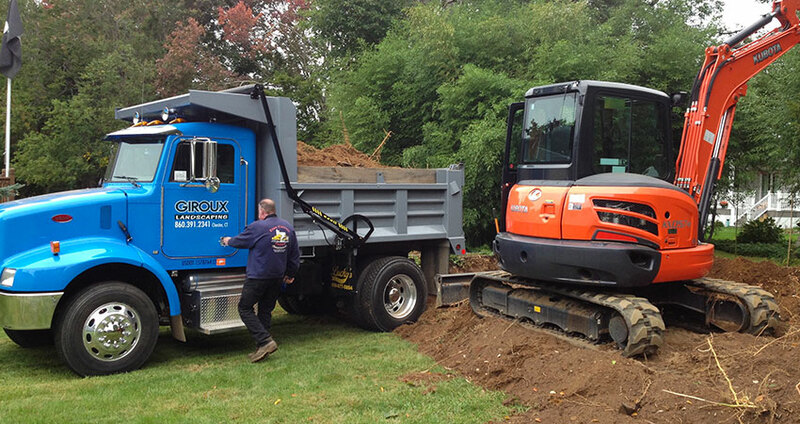 Our landscapers are well experienced in the evaluation and completion of excavation jobs. With 20 years in the business, we not only have command over the job, but will also be able to guide you on other aspects of structural engineering to make sure the job is done right. No job is too big for our highly trained crew. 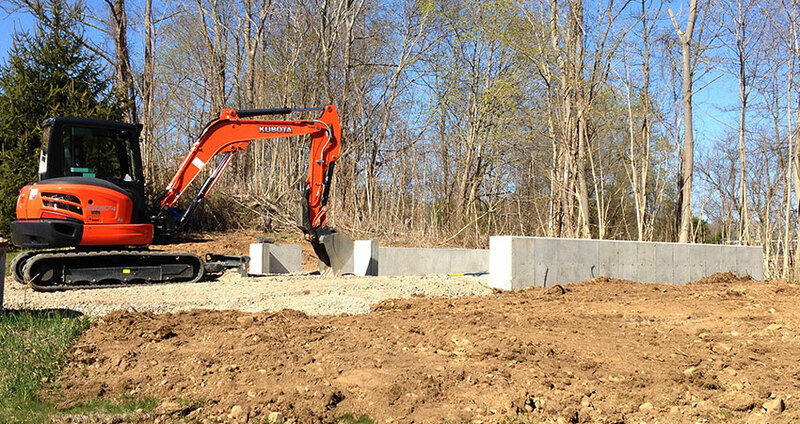 From foundations to concrete walkways, new lawns, rock, tree and stump removal - our methods and state-of-the-art equipment can handle the task.